“Boards can’t ignore the lure of a flexible workplace.” That’s the headline of an article I authored in the latest issue of Directors & Boards, a quarterly journal dedicated to the topics of leadership and corporate governance. The article’s publication is an important milestone in the evolution of work flexibility from an optional “nice to have” HR perk or program, to an operational necessity especially with the economy at full employment. 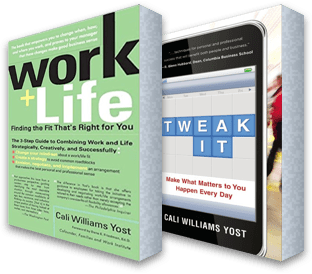 It demonstrates that building a flexible work culture is now recognized as a critical business issue from the boardroom to the break room. Improving gender diversity in the leadership pipeline. Companies can’t afford a headline-grabbing misstep, like IBM and the former Yahoo, and they can’t continue the traditional policy and program-based approach to flexible work. If they don’t, they risk unnecessarily limiting the pool from which they can draw top talent today and they won’t be positioned to respond when an inevitable economic downturn occurs. Culture-based work flexibility allows an organization to creatively scale up and skinny down how, when and where people work based on the current economic climate. Today the issue is how many people do we have to do the job, but at some point, the focus will shift to how we get the work done in a more efficient, streamlined way. A strategic approach to work flexibility will help companies make that pivot. This is why Boards can no longer ignore the strategic lure of work flexibility. What about your organization’s Board?